Winter is the season of curling up on the couch with a good book, a blanket, and a cup of hot chocolate (or a festive cocktail—no judgment). So why not make your living room seating set up just a bit more comfortable and stylish, seeing as you'll be spending so much time indoors until springtime? The perfect place to start a quick and easy home refresh for the chillier months is with your throw pillows. 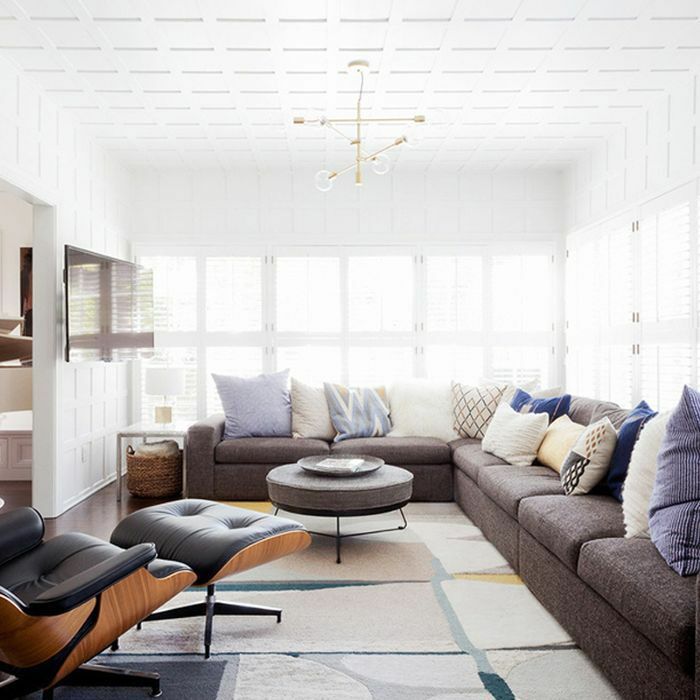 Although buying new pillows may feel less exciting than, say, a new statement chandelier or piece of art, it's a simple update that can make a huge difference in the look and feel of just about any space. Plus, you likely won't have to save up for months in order to make the purchase. In fact, you can find throw pillows of all varieties—from trendy to classic—at just about every price point imaginable. If you're keen to add some new elements of cozy and comfort to your home, keep reading to discover the best throw pillows and covers under $100 (we even found a chic option from IKEA that will set you back just $2, so at that point, it's basically free). Affordable home décor awaits. 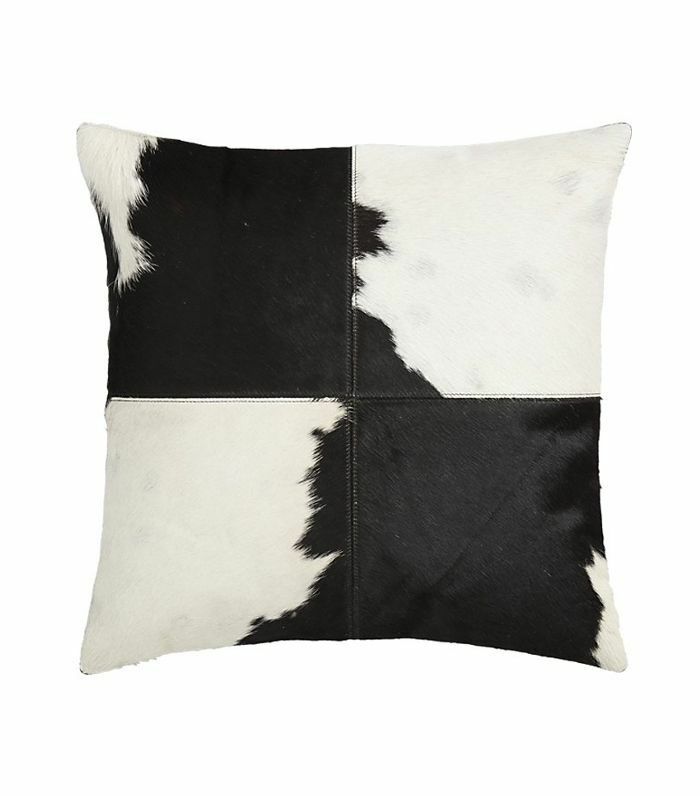 Embrace the animal-print trend in a bold way with this cowhide-inspired throw pillow. 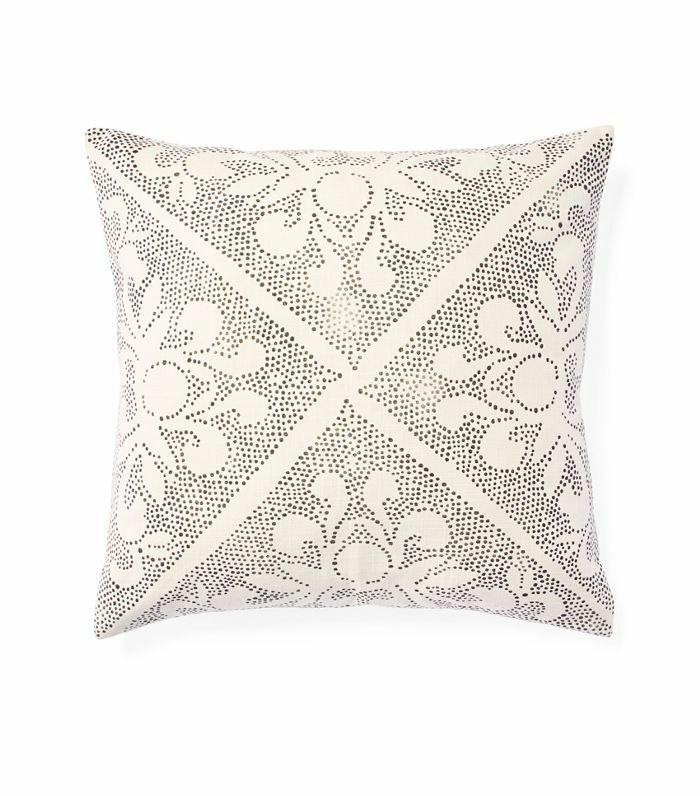 For a more traditional approach, try a neutral square pillow with an intriguing pattern. If you've been keeping an eye on the latest trends, you're well aware that vintage has never felt fresher. 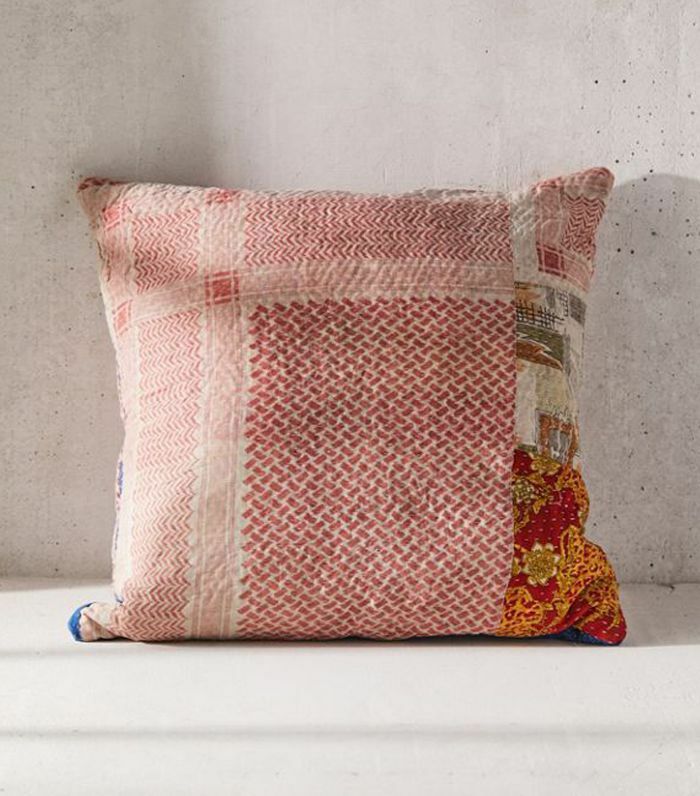 You can score a one-of-a-kind pillow like this colorful one from Urban Outfitters in the retailer's Urban Renewal section. 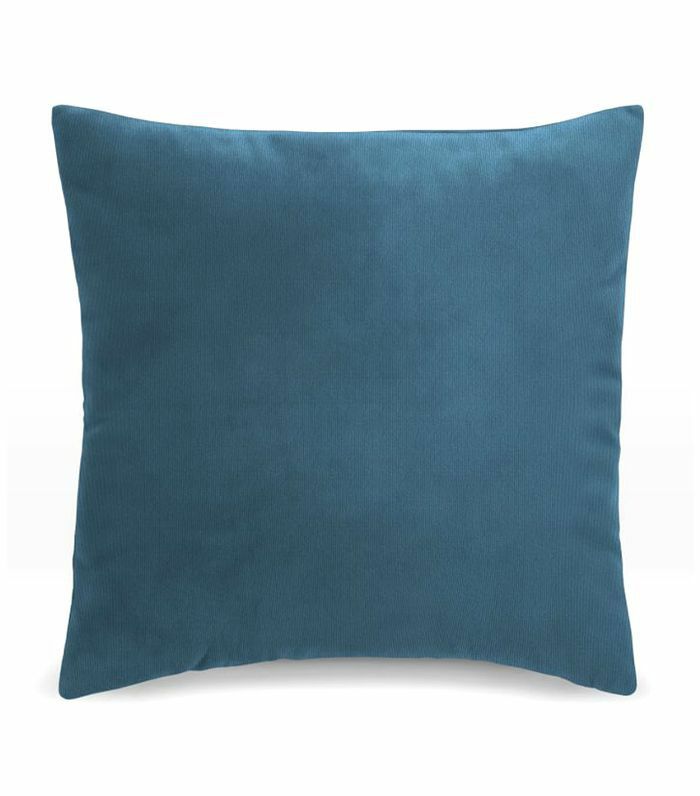 You can't go wrong with a simple blue throw pillow. Toss it on a blue sofa or let it stand out against something more neutral. 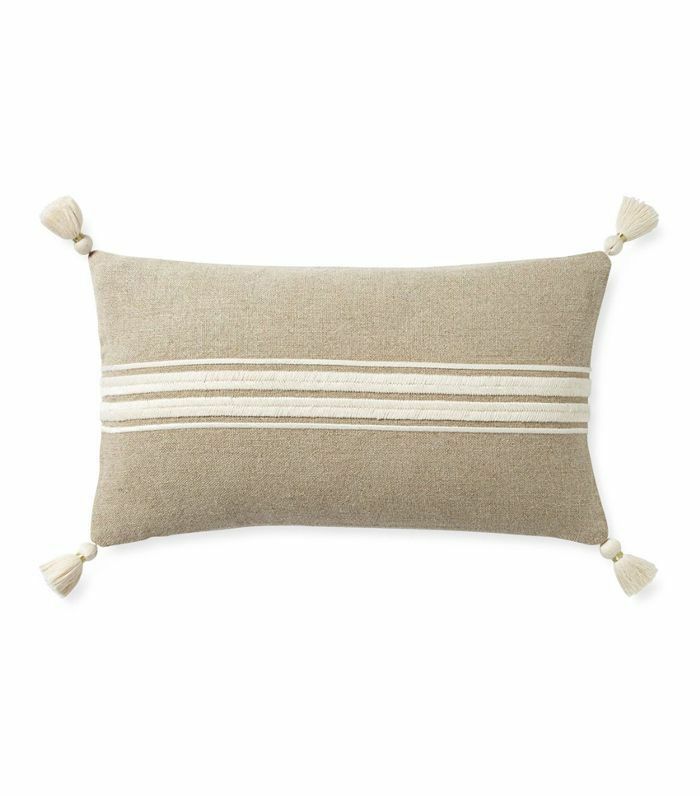 This beige pillow with tassels and stripes feels natural with just the right amount of texture. 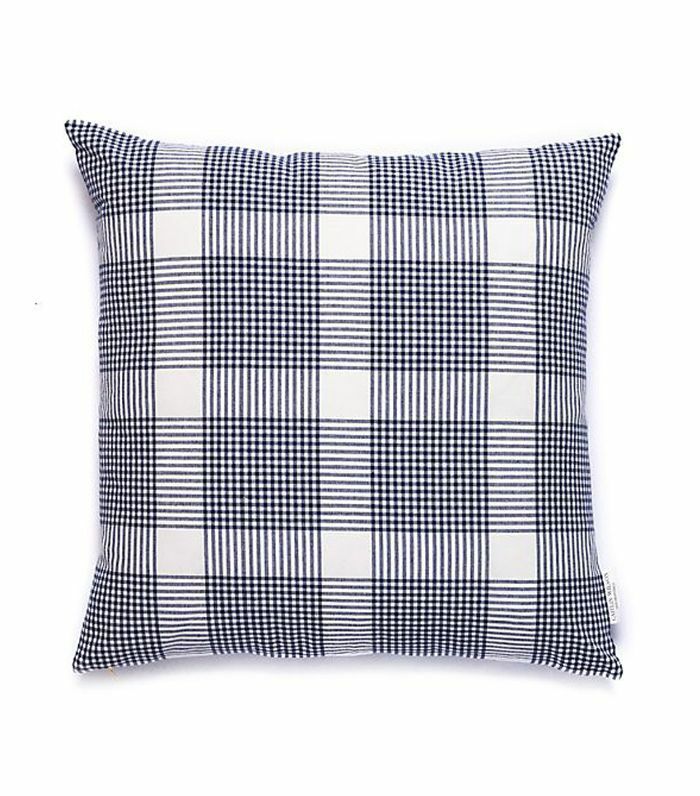 Checked print is also primed to make a comeback in 2019 as plaid patterns are rising popularity once again. Add this under-$75 option to your collection to get in on the trend. 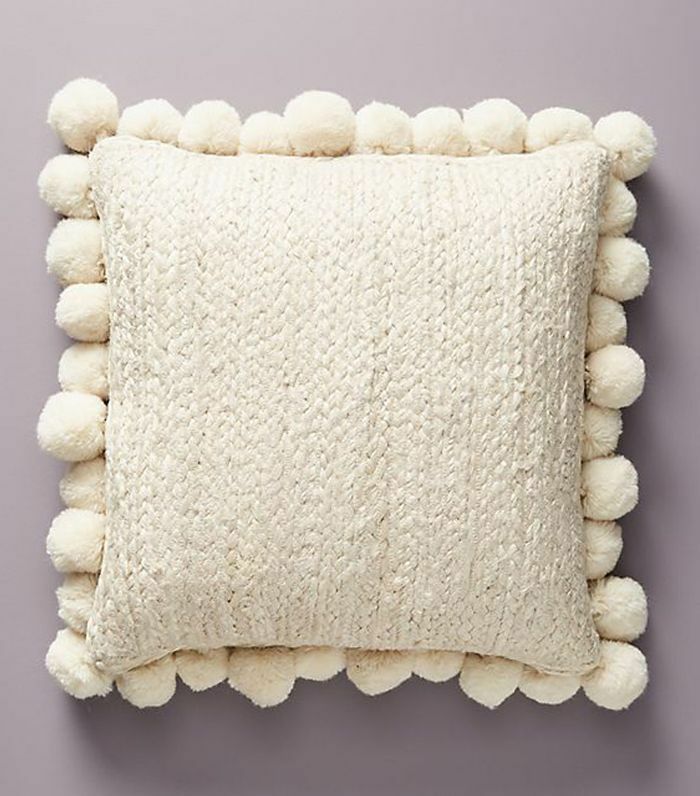 This pillow from Anthropologie manages to make tough jute and plush poms go together. Throw it on your living room couch or an accent chair to catch the eye. Floral patterned décor is officially in (thanks to the retro revival we've seen both in home and fashion designs). Not only does this trendy option come in the bold pattern, but it's also made with a luxe velvet fabric. Navy-and-white plaid is a classic. 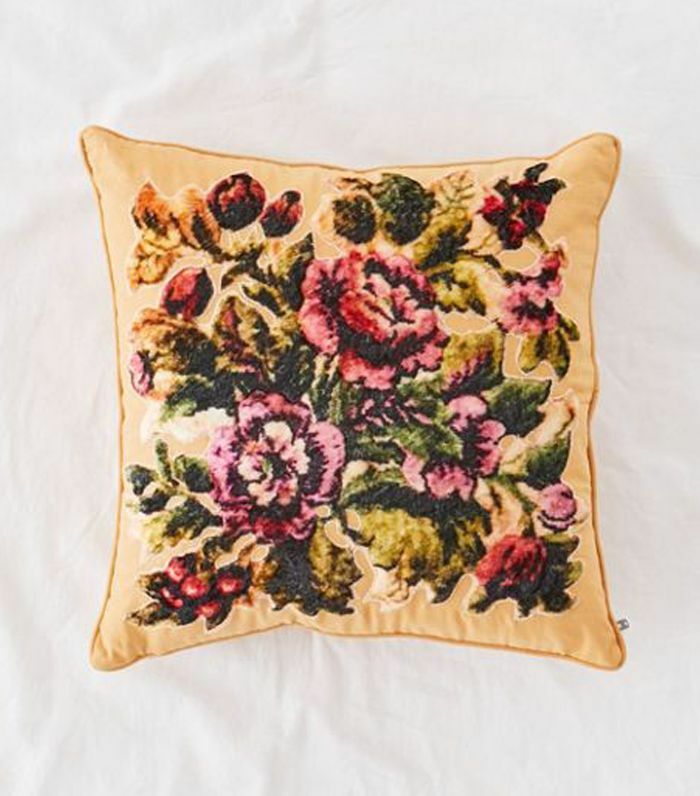 This pillow would look great in a beachy or traditional abode. 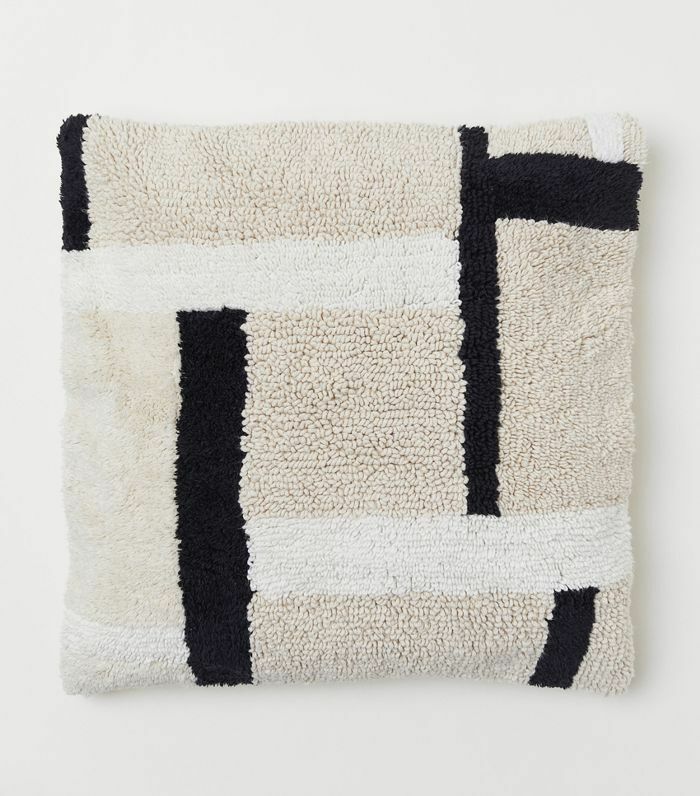 Have you ever seen a cozier looking throw pillow? 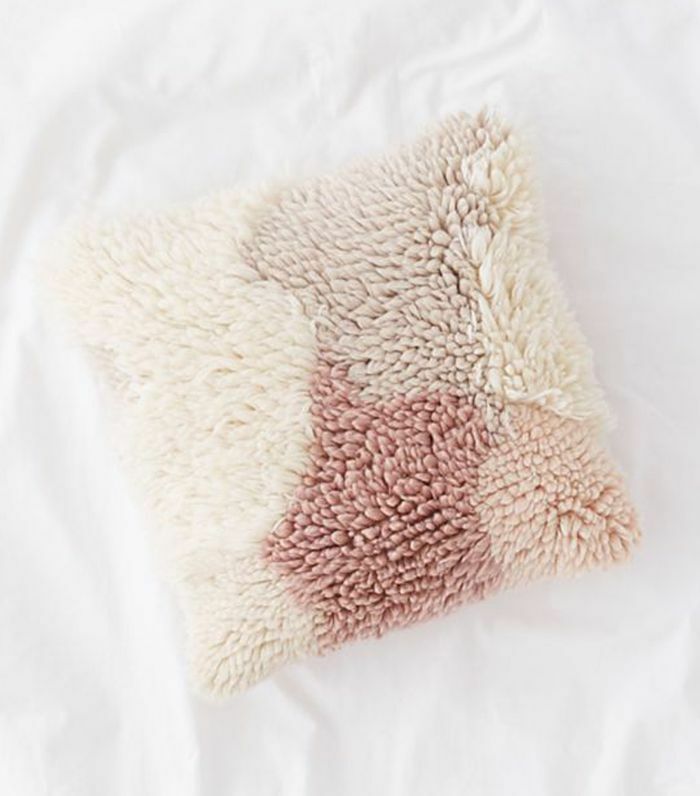 Curl up with this blush number when you're ready to embrace the season of hygge. 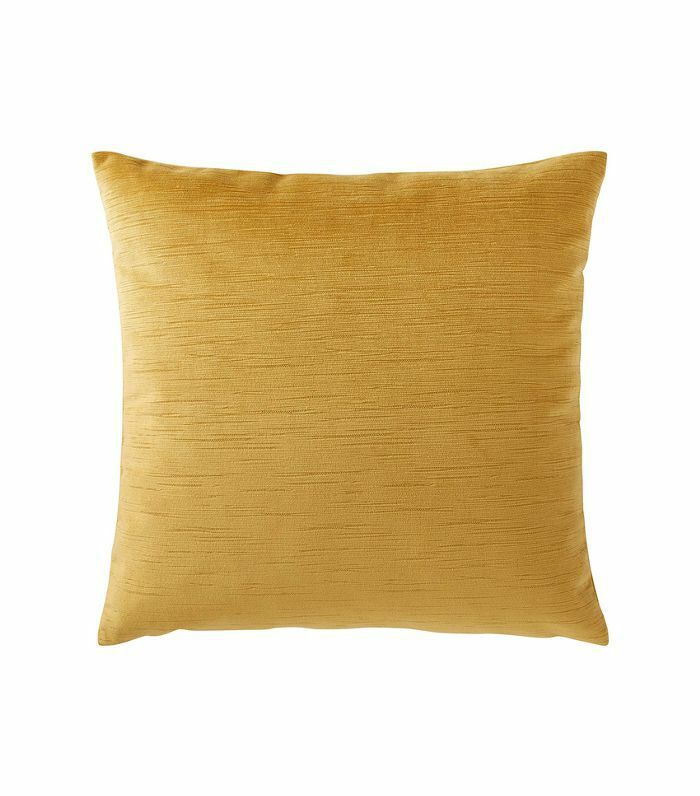 You might be surprised to learn that this honeycomb-colored throw pillow is from Amazon's own home décor collection, Rivet. It's stylish and comes at a reasonable price. 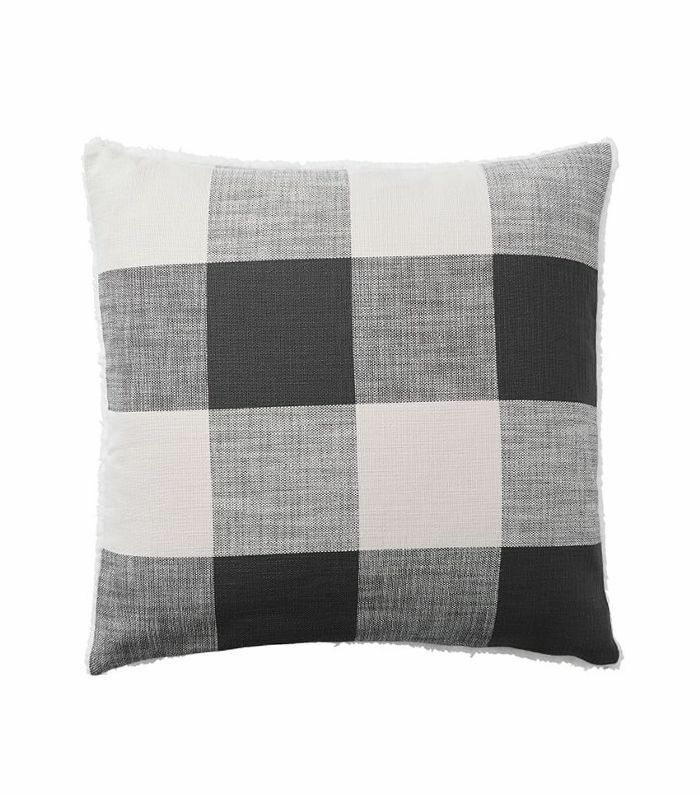 We love the geometric shapes that the different neutral colors create on this cozy cushion cover from H&M. Minimalists and maximalists alike could find a place for it at home. 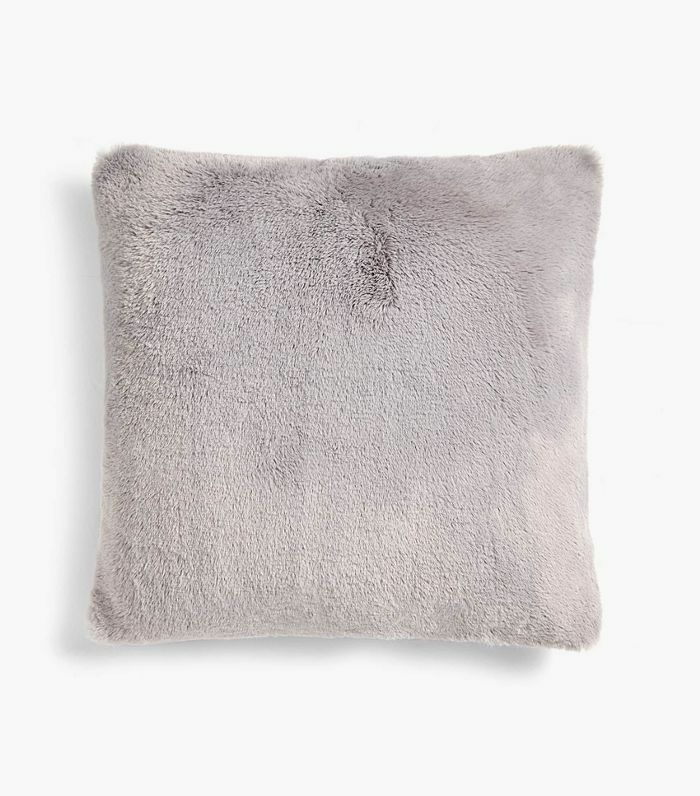 For something fuzzy to cuddle up next to, opt for this sophisticated gray pillow. It would look cozy in the bedroom or the living room. Ask your most fashionable friend—crochet is coming back in a big way. 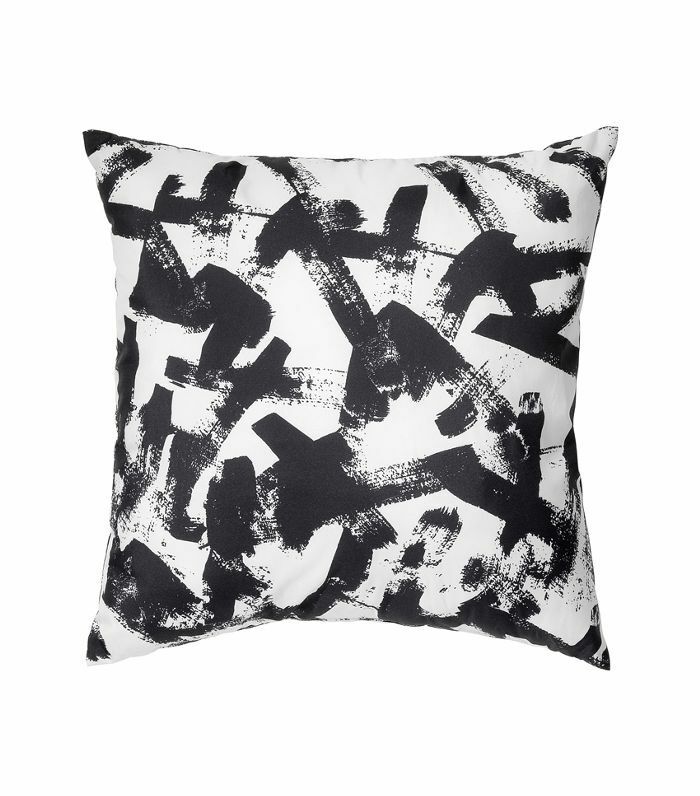 Bring it into your home with this spunky throw pillow. 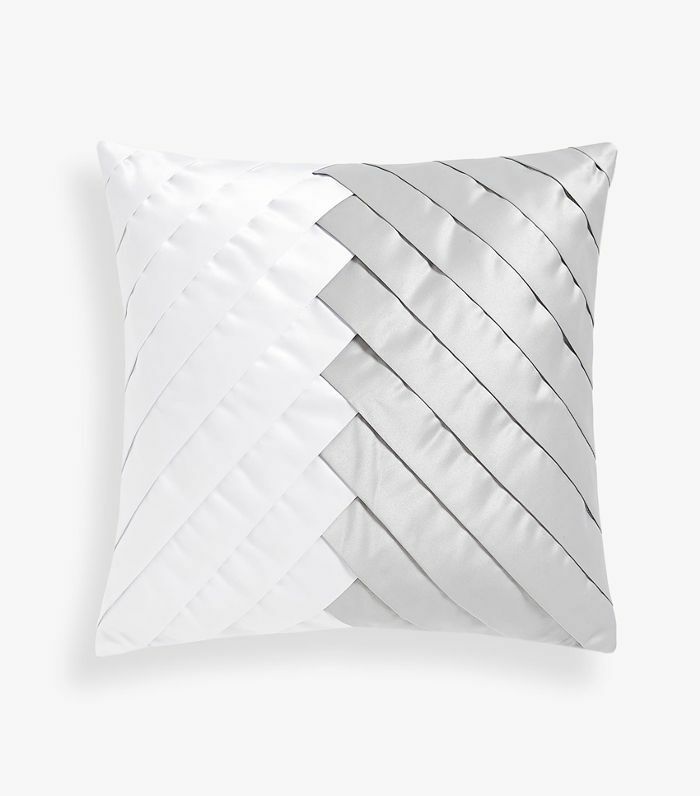 Have you ever seen a chicer throw pillow? This belongs in a sleek, contemporary home. 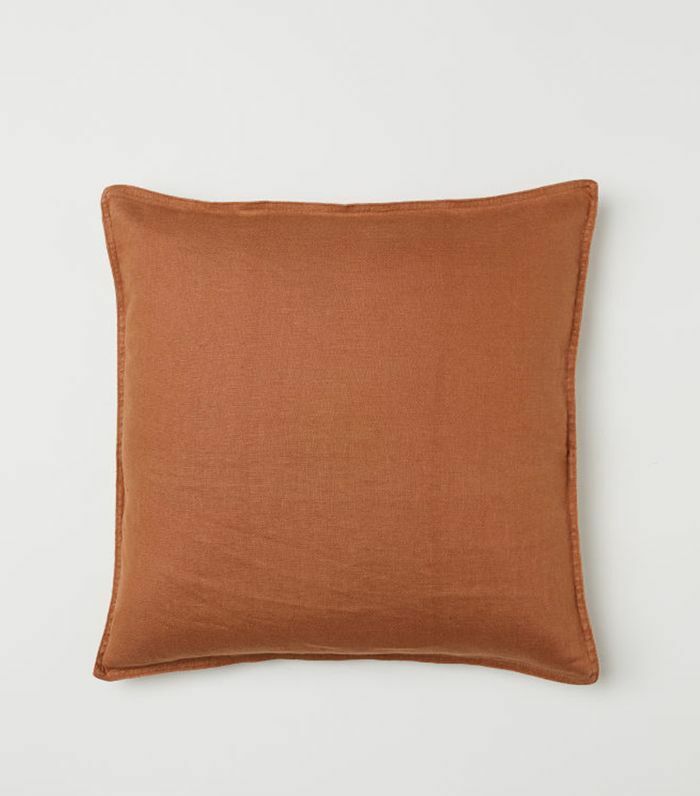 Lean into the terra-cotta craze with this shockingly affordable pillow from H&M. Here it is—the $2 pillow from IKEA. It's the ultimate affordable décor upgrade. 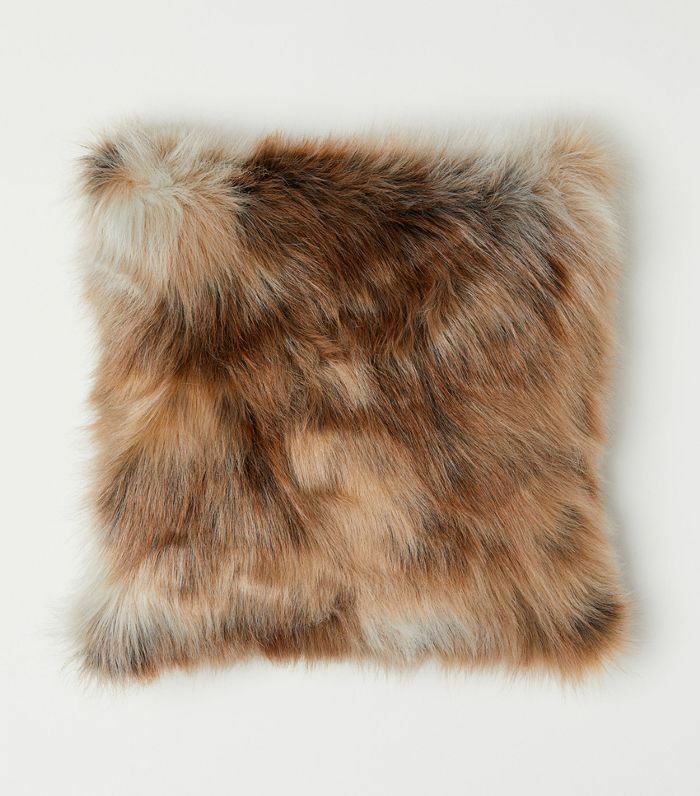 This faux-fur cushion cover was made for cold winter nights spent cuddled up on the couch. Use it to turn your living room into a cozy cabin. 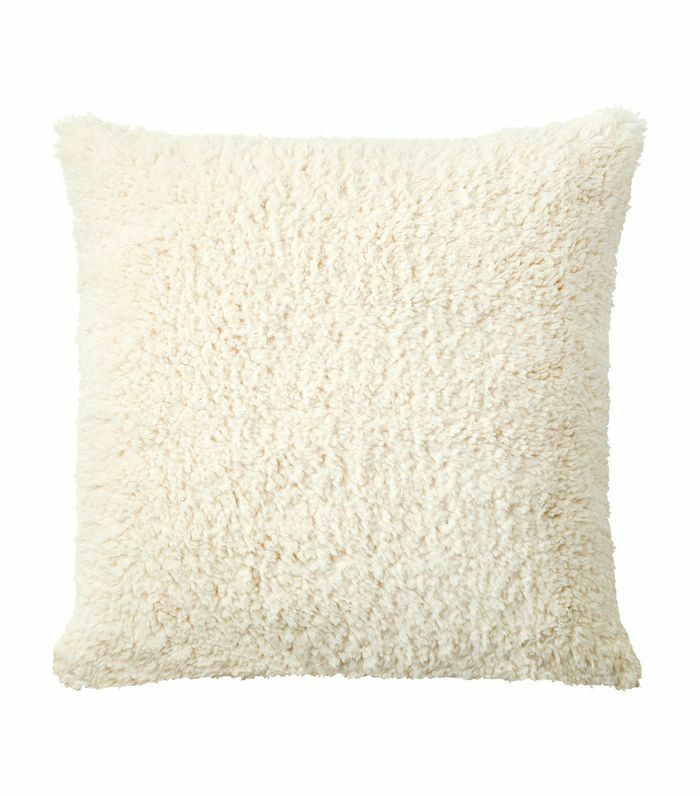 A sherpa pillow to keep you warm. It's from IKEA's Vinter collection, meaning it was basically designed for hygge lovers. 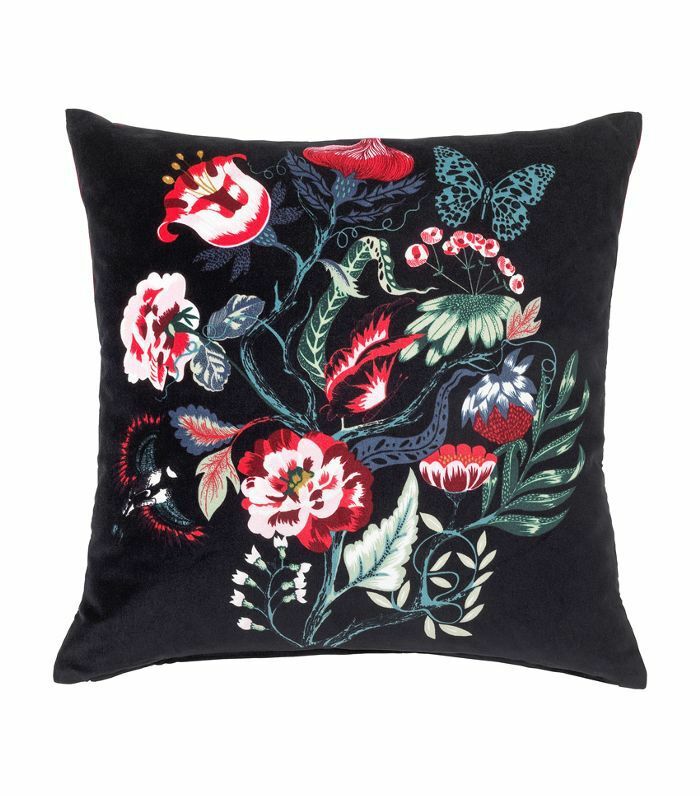 If you were eyeing the floral throw pillow from Urban Outfitters (above) but found it too expensive, this affordable version from IKEA will achieve the same effect at a fraction of the cost. Next up: This one affordable item will make your home feel like a five-star spa. 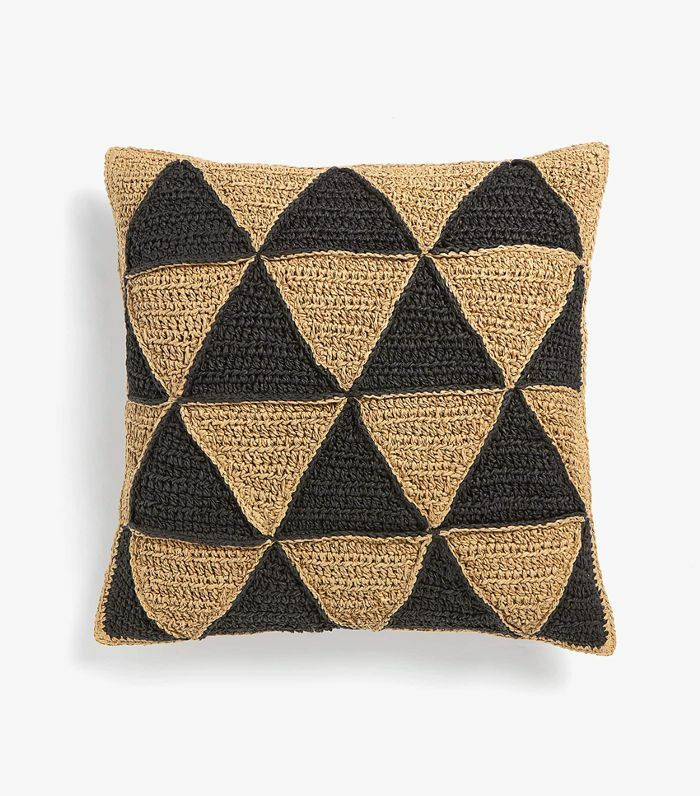 These Are the Best Kilim Pillows We've Ever Seen—Shop Our Picks!